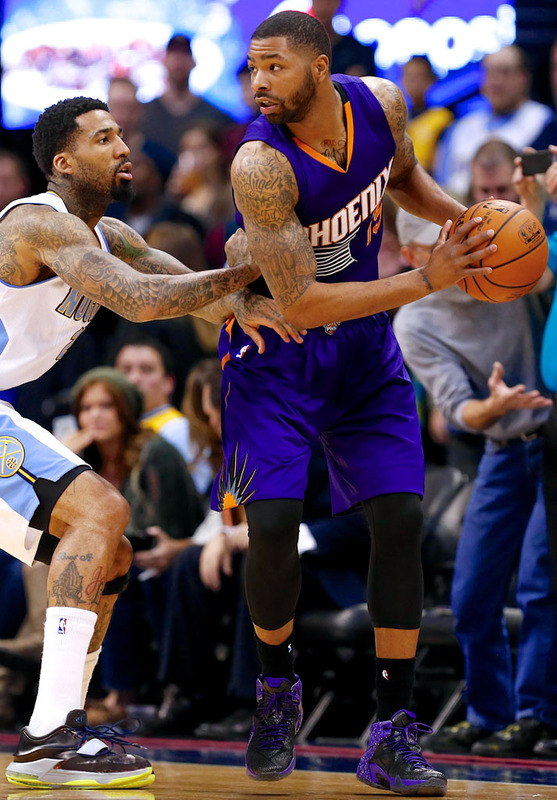 After debuting a ‘Home’ colorway Wednesday night, Phoenix Suns forward Marcus Morris laced up a black and purple Nike LeBron 12 for a road game against the Denver Nuggets last night. Likely made using NIKEiD, Morris’ LeBron 12 features a black Megafuse base with a white-speckled purple Hyperposite overlay. Purple also handles the midsole, which sits atop a smoked out translucent outsole. Did Morris put together the colorway well or do the speckles take away from the look? 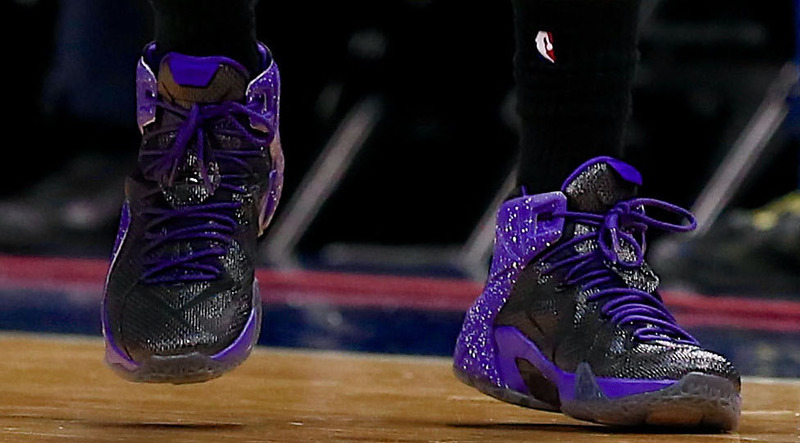 Check out a few game shots below and let us know what you think of this NBA Sole Watch.